Samsung has recently celebrated its 10th anniversary with elan, launching an entire range of power-packed phones, including the Galaxy S10E, S10, S10+ and a 5G Galaxy variant. The S10+ is housed in a polished metal frame with a glass back and sports a 6.4-inch dynamic AMOLED screen (supports 16 million colours and is HDR+ certified), offering crisp, bright colours and excellent sunlight legibility. 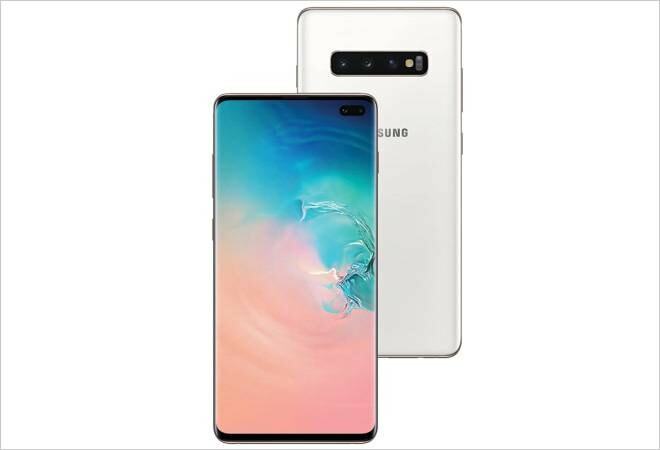 Instead of a notch at the top, the S10+ display stretches from edge to edge (the company calls it Infinity-O) and a small hole punch on the top right that houses a dual-camera set-up at the front - a 10 MP selfie shooter and an 8 MP depth sensor. The hole punch does not hamper user experience when you are watching videos or browsing the Web. The navigation buttons were turned on by default, but I was able to switch to gestures. The phone also houses an in-display fingerprint scanner, but Samsung has opted for a robust ultrasonic system instead of the optical in-screen mechanism used on OnePlus 6t. However, it is not as quick as capacitive scanners and you have to gently press your finger against the screen for a couple of seconds before the finger impression is recognised. The face unlock feature was not secure and I ended up using a passcode as a backup for unlocking the phone. The rear is quite neat with a row of three cameras - a 12 MP telephoto lens, a 12 MP wide-angle camera and a 16 MP ultra-wide camera. Plus, the camera app UI makes it easy to use the sensors. A small row of tree icons appears at the bottom when in the Photo mode (you will also find them in Instagram mode) where three icons capture a wide-angle photo, two trees are for regular frames and one tree uses the telephoto lens to zoom in. When turned on, the Scene Optimizer identifies the objects within the frame and gives shot suggestions. The addition of background effects in Live Focus makes bokeh images interesting. Also, images shot using the Instagram mode were ready to be posted as Instagram Stories. Snapshots were superb in bright light, but there was a little noise in low-light photography. My review unit came with 8 GB of RAM and 128 GB of internal storage with support for expandable memory. The flagship phone runs Exynos 9820 SoC processor and packs in a 4,100 mAh battery that lasted me a day. Using the Wireless PowerShare feature, I was also able to charge an iPhone XS and other smartphones with wireless charging capability.